Workiva delivers Wdesk, the leading cloud platform for reporting, compliance, and data management. The platform creates a single source of data that helps customers in finance, accounting, compliance, and other reporting functions. Because many Wdesk use cases rely on the consolidation of data from multiple systems, customers can work more effectively with a new Workiva managed service integration, powered by Dell Boomi’s integration platform as a service (iPaaS). 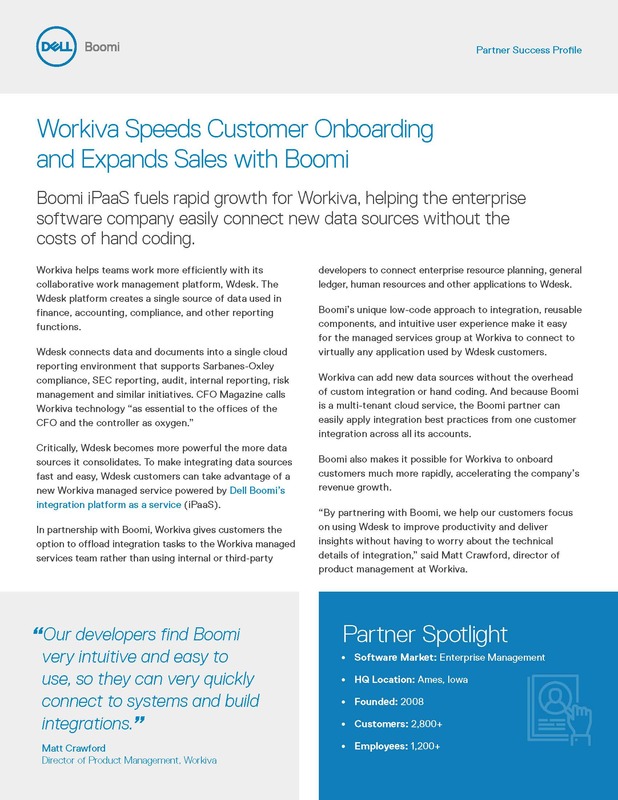 In partnership with Boomi, Workiva gives customers the option to offload integration tasks to the Workiva managed services team rather than using internal or third-party developers to connect ERP, GL, HCM and other applications with Wdesk.